Welcome to The Bouncy Store! We offer a full range of inflatable water slides in a variety of styles to suit the theme of your big event. Our water slides also come in different of sizes, meaning that no matter how much room you have to treat the kids to active fun, we have something that will fit your space. 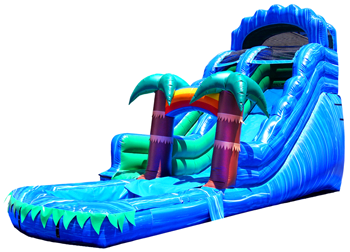 The Bouncy Store offers inflatable water slides, water bounce and slide combos, and water dunk tanks. Join The Bouncy Store email list and get the latest on specials, discounts and current news on cool stuff! Water Combos Mean More Value! 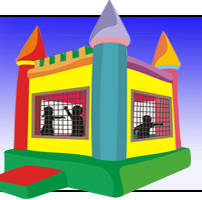 Water Combo Bouncers get their name from being a “combination” of the popular bounce house and additional features like climb-n-slides, popup obstacles and basketball hoops. That means you get more value for the money and more fun for the kids. If you want to get a little bit of the water, bounce, and slide world you will want to consider an inflatable water bounce and slide combo as shown here. It’s Almost Water Slide Time! Water Slides are a summertime favorite and TheBouncyStore.com has your best selection of awesome water slide rentals. These slides are big and make an even bigger impression on your guests. These large colorful rental units make the perfect centerpiece attraction for any party or event. You can always count on our rental units to show up on the job cleaned and sanitized and ready to work. Fun Foods are the secret to a successful event. All of our concession machine are easy to use and fun for all ages. 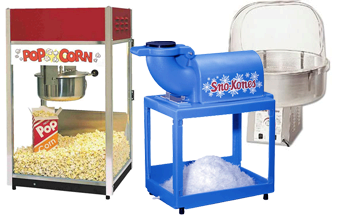 Popcorn, cotton candy and Sno-Kones will have your guests lining up and coming back for more. Our concession machines come with enough supplies for 30 servings. If you’re not sure if you’ll need extra supplies just give us call with your estimated guest count and we’ll have you calculate the correct amount. The Bouncy Store Delivers to Chicago area cities including Addison, Aurora, Batavia, Bedford Park, Berwyn, Bolingbrook, Braidwood, Brookfield, Burbank, Channahon, Chicago Ridge, Clarendon Hills, Coal City, Country Club Hills, Cresthill, Darien, Downers Grove, Elmhurst, Elwood, Flossmoor, Frankfort, Glen Ellyn, Hickory Hills, Hillside, Homewood, Joliet, Lagrange, Lagrange Park, Lemont, Lisle, Lockport, Lombard, Lyons, Manhattan, Markham, Matteson, Maywood, Melrose Park, Midlothian, Minooka, Mokena, Montgomery, Morris, Orland Park, New Lenox, North Aurora, Oak Brook, Oak Forest, Oak Lawn, Oak Park, Naperville, Oswego, Palos Heights, Palos Hills, Palos Park, Park Forest, Plainfield, Plano, Richton Park, River Forest, Riverside, Robbins, Romeoville, Shorewood, Tinley Park, Villa Park, Warrenville, West Chicago, Westchester, Western Springs, Westmont, Wheaton, Willow Springs, Wilmington, Woodridge, & Yorkville. We will consider servicing other areas on a case-by-case basis. Please call for additional information. 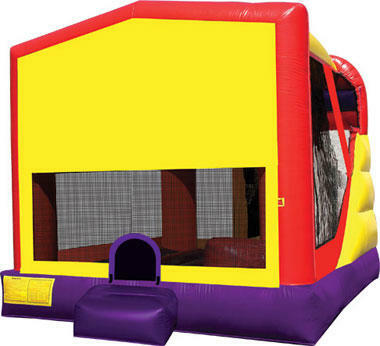 The Bouncy Store's inventory currently includes: Disney Princess Jump Castle, Disney Princess 2 Bounce House, Inflatable Monster Truck Bounce House, Justice League Inflatable Moonjump,Mickey Mouse Inflatable Bounce House, Crayon Bouncy Castle, Inflatable Butterfly Castle, Batman Inflatable Bounce House, Inflatable Birthday Cake Jumpy, Castle 1 Inflatable Jumper, Castle 2 Inflatable Jumper, Disney's Frozen, Minions, Paw Patroll, Spiderman, TMNT, Teenage Mutant Ninja Turtles, Minnie Mouse, Super Hero Inflatable Moonwalk, Spongebob Inflatable Jumpy, Bounce and Slide Combo 1, Inflatable Bounce and Slide Combo 2, Tropical Rainforest Water Slide, Inflatable Rainforest Combo, Double Splash Inflatable Water Slide, Inflatable American Water Slide, Inflatable Castle Slide, 30 Foot Inflatable Obstacle Course, Inflatable Gladiator Joust Arena, Inflatable Sports Arena Bounce House, Party Bouncy House, Inflatable Party House Combo, Cotton Candy Concession Machine Rental, Popcorn Concession Machine Rental, SnoCone Machine Concession Rental, Sitemap . © 2018 The Bouncy Store Party and Event Rentals, Inc.